Gaming nostalgia can be double-edged. Case in point: a couple of weeks ago I had the good fortune to visit the Game Masters exhibit at the Australian Centre for the Moving Image in Federation Square, Melbourne. Without doubt, it was fantastic (see here), particularly for its 125+ playable games and because it is such a good demonstration of how far game culture has come in a couple of short decades. However it left me with mixed feelings, and a strange kind of sadness I’ve never really felt before. The main section of the exhibit, “Game Changers”, showed off some of the central developments that occurred in game development and culture throughout the 90s and early 00s. There were some evocative examples: Sonic the Hedgehog raised memories of playing on a friend’s NES, and a quick go of the swimming section in Super Mario 64 took me back to my own first console. The works of Yu Suzuki, especially Hang On and Outrun (which spawned some great home ports) took me back to the arcades where gaming was larger than life. But some experiences produced a nostalgia almost beyond words. The Peter Molyneux exhibit had a playable version of Populous, a game that I thrashed endlessly on the Amiga 500. The 16-bit graphics immediately charm the memory’s eye, yet are detailed enough to provoke genuine interest. Grabbing the mouse was almost a mistake, because I could hardly let it go. I immediately remembered the crack-addictiveness of this game: as soon as you level out enough ground for a castle to be built you just want to create more, and more. It was my early gaming resurrected: building anticipation as the power meter creeps up to devastate those poor Redshirts with volcanic destruction or massive floods. As good as this was, it was really nothing compared to the genuine arcade nostalgia that had softened me up earlier. Populous: the first god game. No wonder I liked it. The introduction to the exhibit was aptly titled “Arcade Heroes”. The setup may not have resonated immediately with those who remember the glaring fluorescent lights of Timezone, Dowtown or Dazzleland. Instead, the décor predated even the Golden Age of Arcades, the time when a few machines got stuffed down the end of the bar in in some unused storage space. My version of this was “The Cave” (cheesy sign for real) at the Parafield Gardens Community Club, where our family would visit every Thursday night for a meal. We’d be given a handful of twenties (cents, not dollars), presumably so Mum and Dad could have another drink without the kids whining to go home and play the VHS recording of The Young Ones. All I remember of the space is that it was dark, dingy, and pretty dusty. It was an adult-free zone, and actually pretty free of people full-stop. I vaguely recollect some neon signs, maybe black lights, but this is almost certainly fancy overlaid on top of memory. One thing I remember perfectly is the games. My brother’s favourite arcade game of that era was Defender: this was playable at Game Masters. Defender (1980) was the first game to feature horizontal scrolling, which allowed an expansive gameworld and surprising threats to come from off-screen. Its “hyperspace” mode also foreshadowed the dizzying adrenaline rush of Sonic and arcade racers. The iconic Space Invaders (1978), Pac-Man (1980), and Donkey Kong (1981) were all on show, each with its own Pavlov response-inducing soundtrack. There was also Missile Command (1980), with its rollerball control system and fire-and-forget shooting design; I only played this on my cousins’ Atari 2600 but the resonance was still palpable (it was a near-perfect port). Perhaps the most exciting for me though was Elevator Action (1983): quite late for this era of arcades, this game pitted you, a stylish thief with an 80s crew cut, against shadowy detectives in a kind of vertical platformer with elevators and escalators. This was the one arcade game I sunk most of my spare change into during that era, and it was a simple joy to relive that gameplay and the combined feelings of wonder and slight frustration at the interface glitches that resulted in an unfair death. Crew cut trumps fedora, punk. Of course, this retro-nostalgia was a helluva lot of fun, and I’m well aware that I carry a fair amount of cultural capital around on my sleeve as a result of being just old enough, but just young enough, to have experienced this amazing time in the history of game culture. Nonetheless, almost as soon as we left the exhibit and proceeded to a delectable afternoon tea at the Hotel Windsor (highly recommended by the way), I felt a niggling sense of dissatisfaction. Slowly I was slipping deep into the throes of a kind of melancholic nostalgia. This became not just sadness, but a yearning for the past, and a taste for the flavours of experiences long-gone. It took some time to figure this out. It started with me feeling kind of antsy, the feeling I get when I haven’t played a game recently enough, a kind of jonesing for gaming I get sometimes. I then realised that I had been playing great games all day – but not intensively, nor for long enough. Even my PS Vita in the hotel room would not be enough for what I really wanted. Don’t get me wrong: I love living in the future, and this is perhaps the most exciting time for gaming since the early 80s (7th-gen consoles, anyone?). But after this acute retro-nostalgia experience, what I really yearned for was a good arcade experience, a pocketful of change and just me, off to an arcade to play whatever was new or whatever took my fancy. 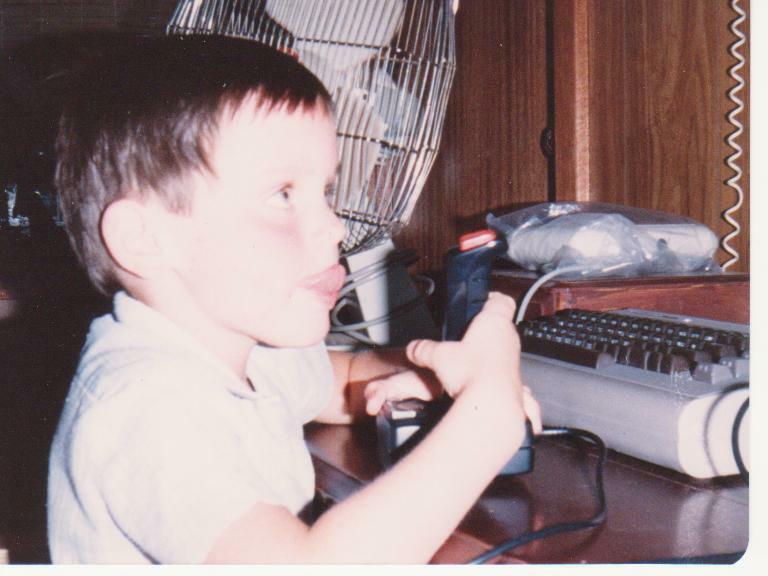 I’ve realised in the past few years that gaming was a deeply formative experience in my childhood, and those earliest arcade experiences were the most public stage for crucibling my personality. It was not a place where being popular was essential; it was possible to coexist in an awkward kind of semi-privacy with complete strangers; it involved a thoroughly self-effacing kind of performance in Double Dragon or Street Fighter, one that the football stars of the schoolyard would never understand. Overall, it was just a superbly fun way to sink a few hours on a Friday night or Sunday, provided you could cajole a few bucks from your ever-obliging parents (thanks Mum and Dad). Yeah baby, check the tech. And yes, Game Masters was brilliant and important for us all; and yes I recaptured that childhood joy and revelled in it; and yes the current generation needs to know how it was back then. But this was also a blade that cut deep the other way: it reminded me that although I’m still young and always will be, I am getting older, and things are changing, and never will be the same again. Most of the visitors to the exhibit filed pretty quickly past Arcade Heroes, and those who lingered were never younger than me, and there was a sadness in this too. When your childhood becomes a kind of museum-piece, you are brought face-to-face with the transience of all things, and how death is ever-present. Not maliciously, leering with cloak and scythe, but quietly, patiently, biding its time. Chad Habel spent thirty years growing out of video games and then decided to grow into them again. Some people smirk when he divulges this. In an alternate reality he works at a University, and the views he expresses here are his own.